Play therapy is a type of counseling geared toward children. As the name suggests, it uses play to communicate with kids to help prevent and resolve psychosocial issues and challenges. It helps them with socialization skills, personal growth, emotional development, and trauma resolution. Play therapy can also be used to diagnose or determine the cause of any disturbed behavior. By utilizing therapeutic activities for children, we can help them work through any issues of anxiety or trauma that they may be facing. Play therapy works by allowing children sessions of “free play” or “unstructured play” whereby they often expose vulnerabilities and anxieties as they go. A play therapist will observe the child playing with toys and note any recurring themes that may stem from trauma or anxiety. They can then guide the child in therapeutic activities to help them deal with whatever issues they may be facing. They may also utilize a more directive approach to play therapy to help children relearn or change troubling behaviors through the language of symbolic play. Who Should Use Play Therapy? 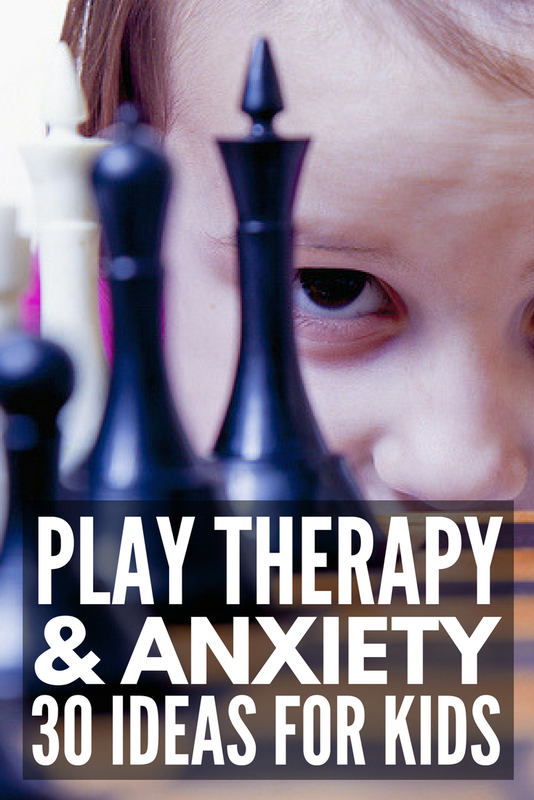 Play therapy is best utilized by children aged 3 – 11 who have shown certain psychosocial issues such as anxiety, integration issues or fear responses. A child who has trouble interacting with their peers or one who flinches away from adults may be dealing with trauma they can’t articulate. There are many therapeutic activities for children that will allow them to work through their issues in a fun and exciting way. What Are The Goals of Play Therapy? Play therapy goals are all about helping kids to become aware of their feelings and to express them in positive ways. It can help them to manage their anger, improve their self-control and work on increasing empowerment. It can also help them manage fear, anxiety and depression, as well as enhance their problem-solving skills. What Are Some Good Therapeutic Activities for Children? There are many different types of therapeutic activities for children that will help them navigate through their anxieties. Here are some excellent ones. For more than sixty years, play therapy has been a popular treatment for children. It is well-established in clinical practice as a useful approach for children who have not yet developed the verbal skills needed to express their feelings, thoughts and behaviors articulately. There are many great play therapy techniques, using toys, games and storytelling. Ball Play – Toss a ball around, and when someone catches it, they have to tell the group something that makes them happy. Baby Doll Play – Let a child play with a doll to see what their instincts are. It’s helpful to see how a child may be being treated by others by how they treat the doll. Toy Telephone Play – Let the child and mentor each hold a toy phone. The adult can ask directed questions at the child, who feels less pressure when they can answer indirectly. Let them know if they feel uncomfortable, they can hang up. Magic Wand Play – Give the child a pretend wand and tell them they can make three wishes. Listen to what their wishes are for a better understanding of issues they may be facing. Bubble Play – Blow bubbles and allow the child to run around and pop them. This is a great way to offer the child stress relief. Block Play – Help a child release anger by building a wooden block wall or tower and then allowing the child to throw a ball to knock them down. Destruction Play – Another anger-releasing exercise, give the child an old phone book, and allow them to rip pages out, crumple them and throw them away. Sensory Play – There are any number of sensory play activities that children will enjoy that can help them feel relaxed and in control. Metaphor Play – Give the child a bin full of toys and ask them to pick out the ones that represent each family member. It can help to see what they think and feel about their family. Dollhouse Play – Allow the child to play with a dollhouse and some dolls. Ask them to act out different everyday scenarios, such as bedtime, meal time, play time, etc. to get an idea of family dynamics. Self-Control Games – Games like “Simon Says” help a child learn self-control, as well as listening and attention skills. Strategy Games – Games such as Chess or Checkers give a good insight into how a child deals with conflict. It also helps them to develop self-control and the ability to think through consequences. Chance Games – Games like Candy Land or Go Fish are great for relationship building. They also help to teach children how to cope with unexpected losses that can’t be avoided. Art can be a great way of helping young children and teens to communicate. With young kids, they often have a limited language, which stops them from being able to articulate their more complex thoughts and emotions. Similarly, teens can feel pressured to think a certain way or like their more difficult thoughts may have consequences. Allowing them to express themselves through guided art therapy techniques will help kids communicate. Post Card Art – Have the child print out a blank post card. On the blank side, they can express their feelings through art, while on the message side, they can try and write a message to someone to express what they need to say. Paint Your Emotions – Talk about the correlation between art and emotion, including colors and shapes to articulate feelings. Emotion Wheels – The child will create a pie chart to share their current state of mind with different emotions in each section. Outside/Inside Masks – Draw a basic face on a large sheet of paper and let the child create two separate “masks” – on they show the world, and one they keep to themselves. Art Journaling – Make or buy an art journal and let the child write/draw their emotions, thoughts and feelings into it. Then review periodically with them. Make Sock Puppets – Puppets are a great way to communicate with kids, as it allows them to act out their vulnerabilities in a safe way, using imaginary characters. Inside/Outside Boxes – Give the child a shoe box or other small box with a lid, and allow them to decorate it. Have them place negative or upsetting images inside the box, while decorating the outside with more positive and uplifting images. Create a Vision Board – Allow the child to create a visual reference that they can see every day to help them stay positive and focused. You can buy a kit or have them make one from scratch. Emotional Thermometer – Present the child with an emotional thermometer with a range of emotions from 0 (happy) to 10 (sad) and ask them about various events and how they make them feel. Storytelling – Give the child a chance to tell a story beginning with “once upon a time.” Storytelling often reveals a lot about a child’s hopes and fears. Role Play – Pick a situation that the child is anxious about and role play through it with them. This will help them to visualize situations and prepare for them. Costume Play – Give the child a costume and then ask them what they would do as the character they are portraying. This is a great way to find out the child’s likes or dislikes. Superhero Play – Ask the child to draw a superhero and talk about the superpowers they’d like to have. Talk with them about their personal strengths and how they are their super powers. Guided Imagery – Ask the child about a nightmare or anxious thought they’ve been having and then work through a happier ending for it. This can help retrain their brains to feel more in control. Worry Dolls – Buy or make a set of Guatemalan worry dolls. Assign a worry to each doll and then leave them in a bag or box. This gives the child permission to leave their worries with someone else. Turtle Feelings – Tell the child about how when turtles are sad or scared, they retreat into their shells, close their eyes and take three deep breaths. Then teach the child how to control their anger by doing the same thing. Therapeutic activities for children are great for working through a child’s issues in a constructive and positive way, allowing them a no-pressure chance to communicate. Whatever the age of the child, these techniques can be adapted for the best results. If you liked this collection of therapeutic activities for children, please share this post on Pinterest! And if you’re looking for more ways to have fun with your child, please follow our Kids board where we share all kinds of fun ideas! Katie is the voice behind popular mom blog, It’s a Mother Thing. She's a 30-something mother of three boys and is addicted to coffee, bullet journaling and Instagram. She lives in Salt Lake City, Utah, where she has perfected the art of not swearing in front of her Mormon in-laws. She can recite every line from Mean Girls.